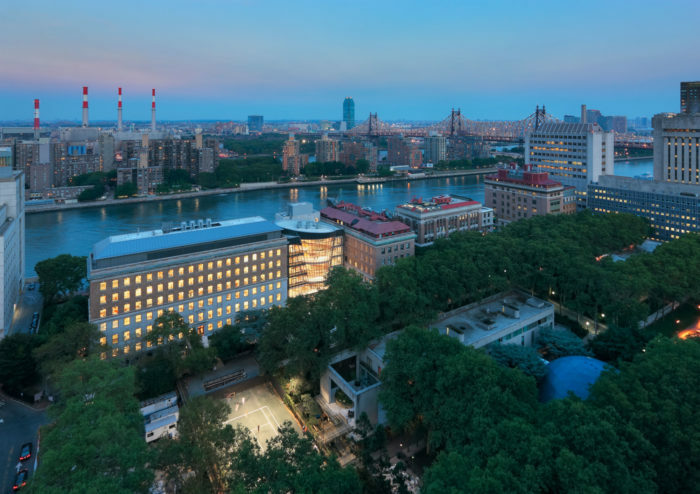 The Rockefeller University Collaborative Research Center lives up to its namesake by bridging two existing buildings and providing additional meeting and gathering space for this dense urban campus. 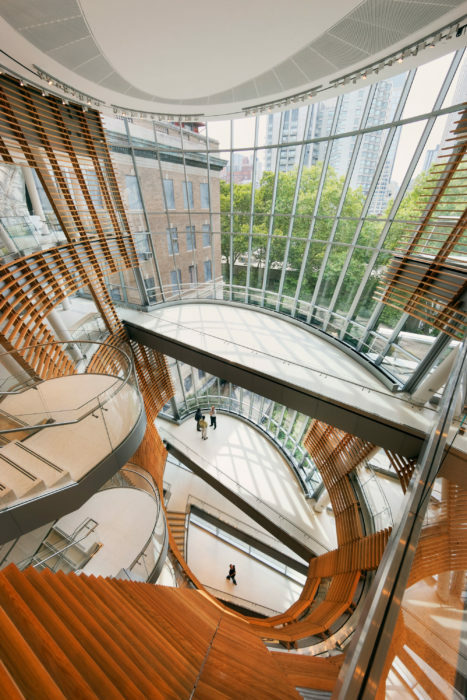 The glass curtain wall features a conical projection through the west facade that forms a six-story interior atrium. 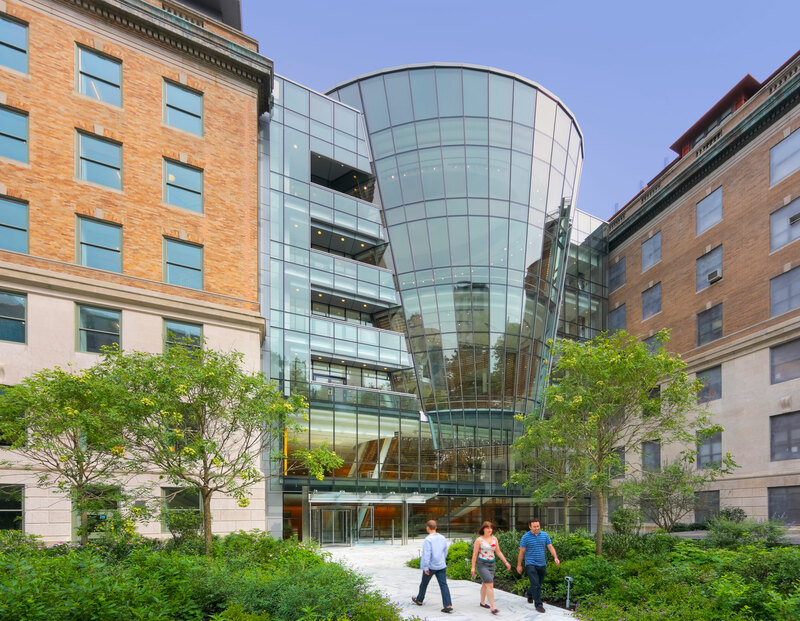 The design maximizes transparency and captures large span views of the surrounding campus. The east elevation incorporates new limestone cladding, punched windows, and an all glass curtain wall that peers out on the East River. 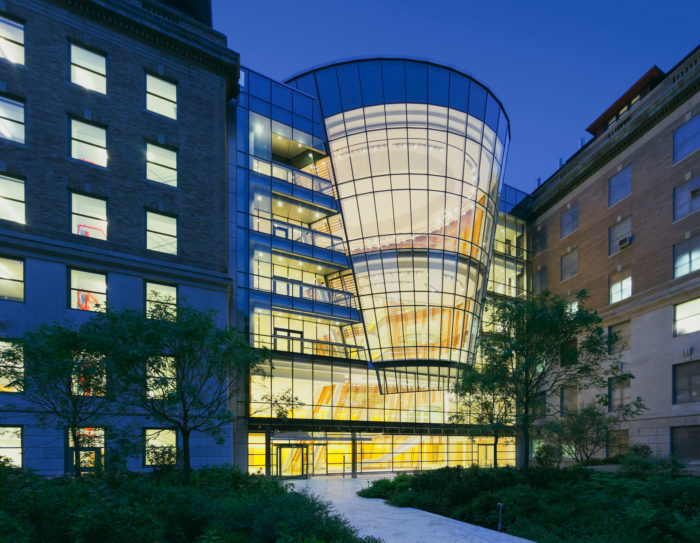 A custom-designed, slender, steel curtain wall was developed for the atrium’s conical volume. The sloped nature of the atrium presented several challenges including proper support of the glass while minimizing the appearance of exterior caps. In construction administration, Heintges worked with a small northern Italian fabricator to achieve the unique design intent cost-effectively. 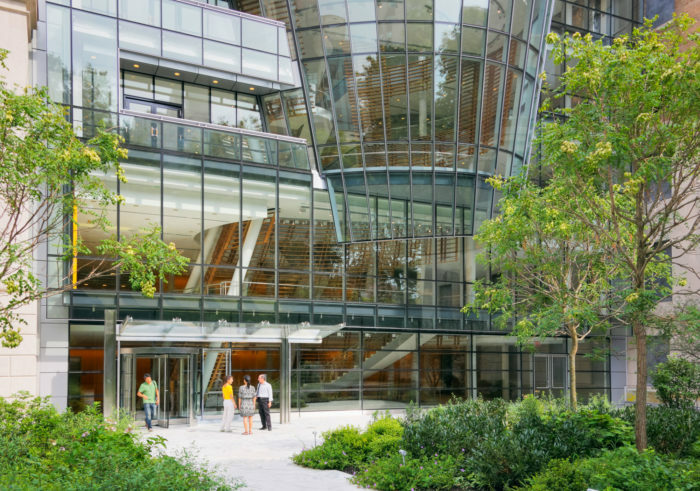 Heintges served as curtain wall consultant for all phases of the project, from conceptual design through NYC Department of Buildings Special Inspections.